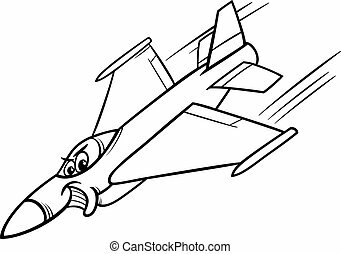 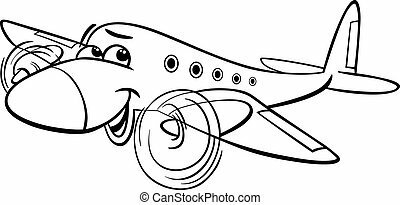 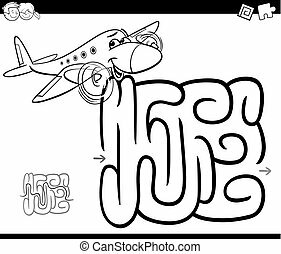 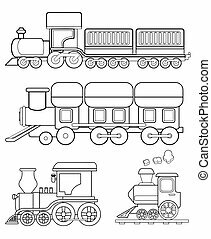 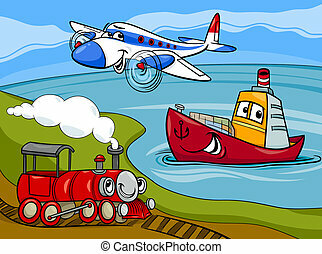 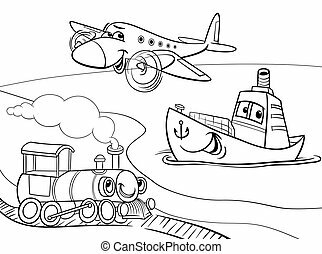 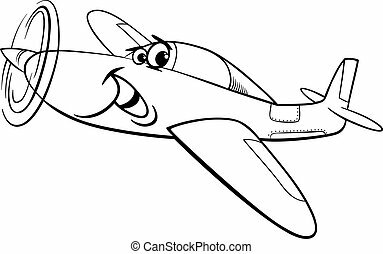 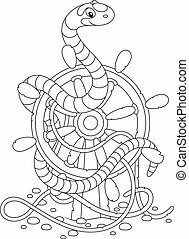 Cartoon plane train ship coloring page. 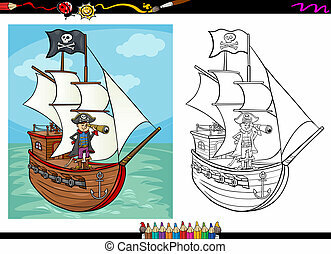 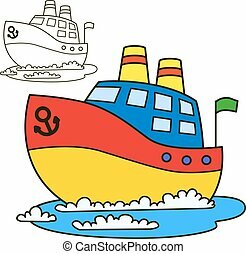 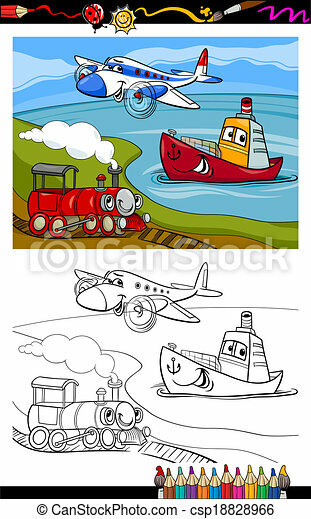 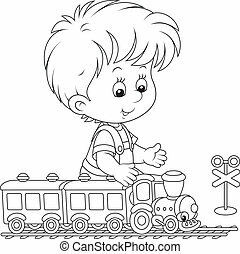 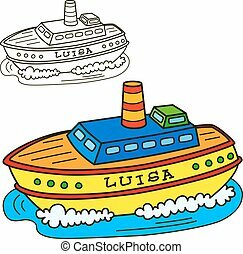 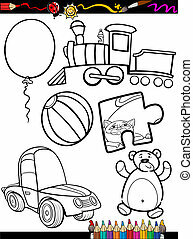 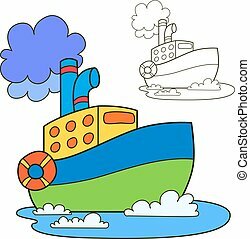 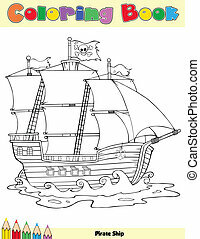 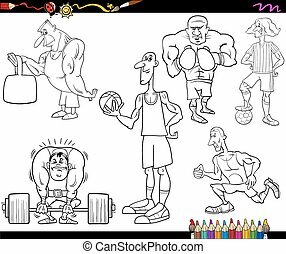 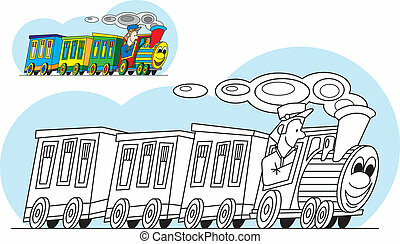 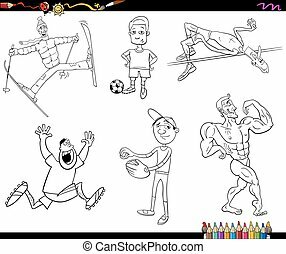 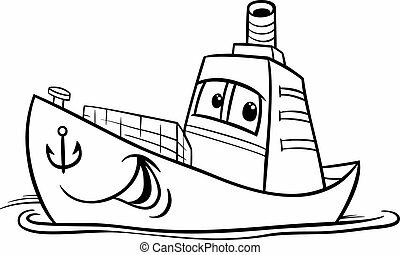 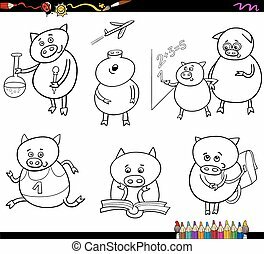 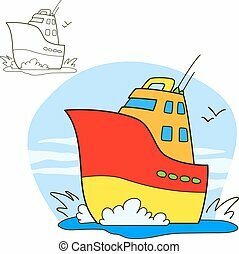 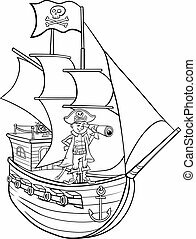 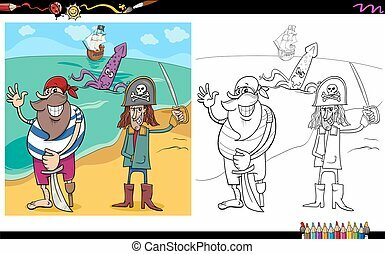 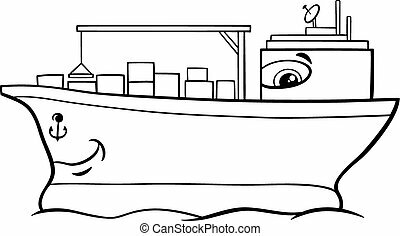 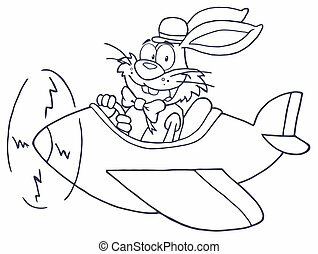 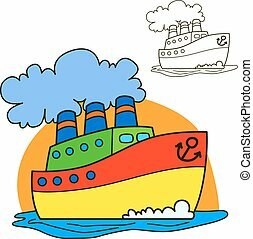 Coloring book or page cartoon illustration of cute plane and train and ship transport comic characters for children. 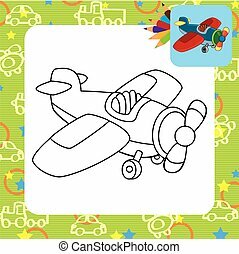 Coloring page - vehicle - illustration for the children. 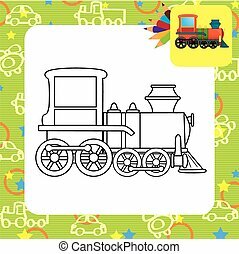 Themed Coloring book with cartoon motif of a steam train with the driver. 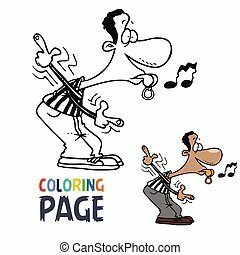 For children to color. 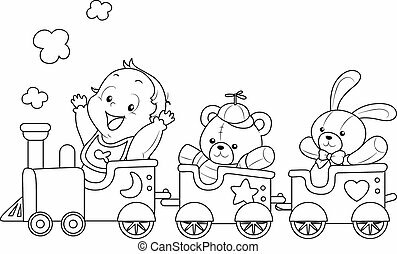 In the nursery wall, wallpaper for children's rooms and catered to children in the waiting room, restaurant, train, in the hospital.